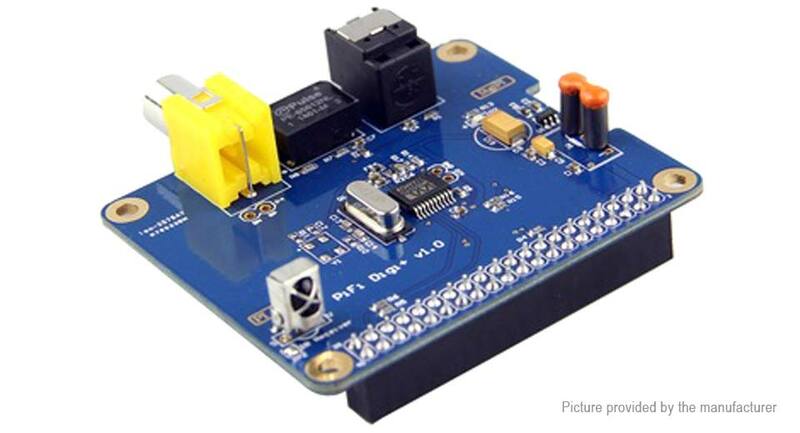 It uses the I2S interface rather than USB, which supports 16-24 bit Audio data formats and apply the high-end digital chip WM8804G from Wolfson Company. Users can build up HIFI player by the system of volumio, xbmc etc. 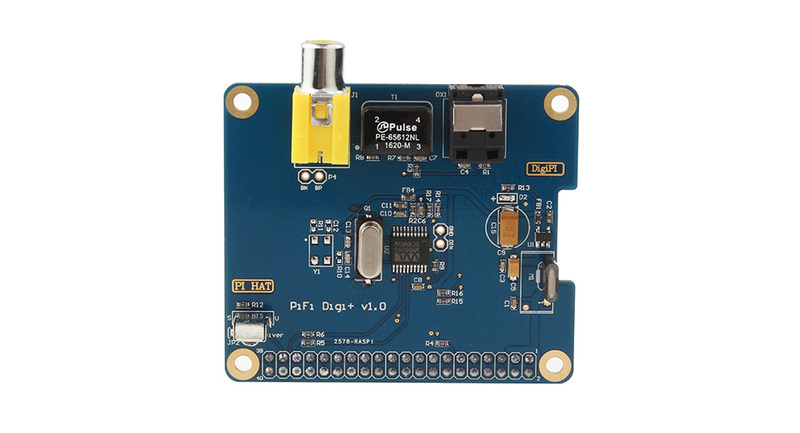 It provides S/PDIF and RCA output Interface in order to connect the Amplifier and so on. 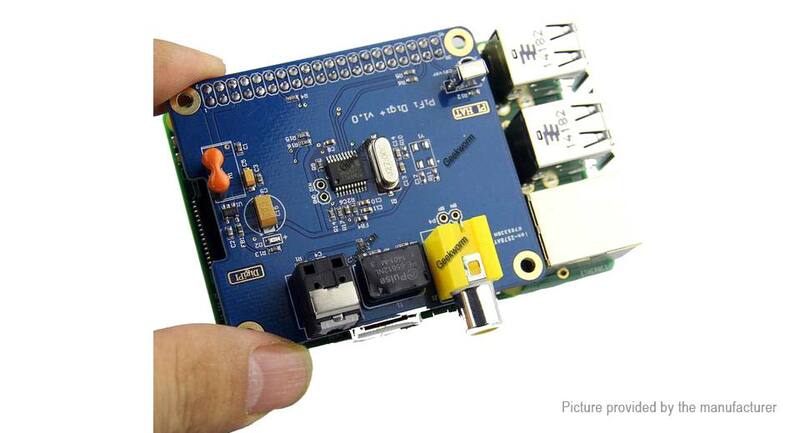 Power supply comes from Raspberry Pi, which adopts π type filter Power, can reduce the interference. 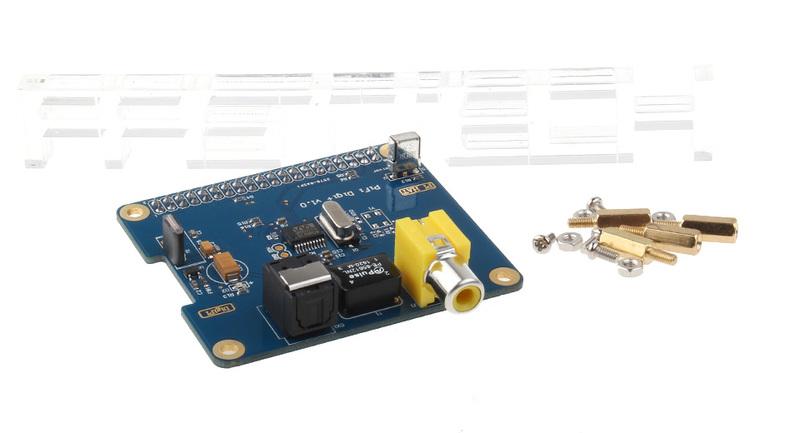 Power Indicator is easy for observing the expansion board. 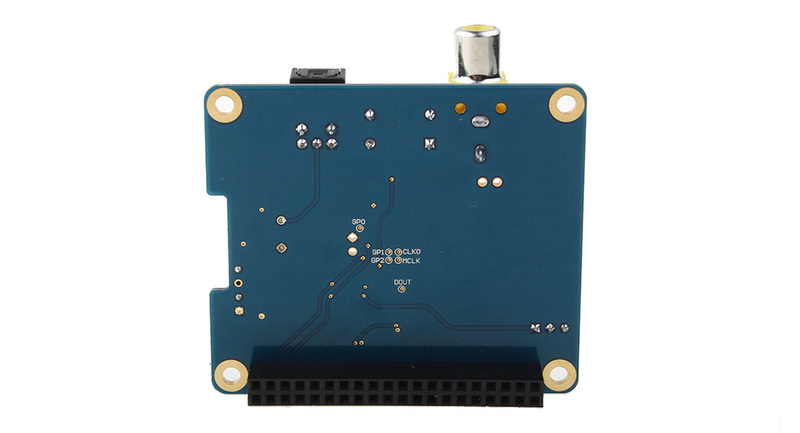 PCB board adopts gold plating and arc traces, which can reduce signal reflections and refractions.